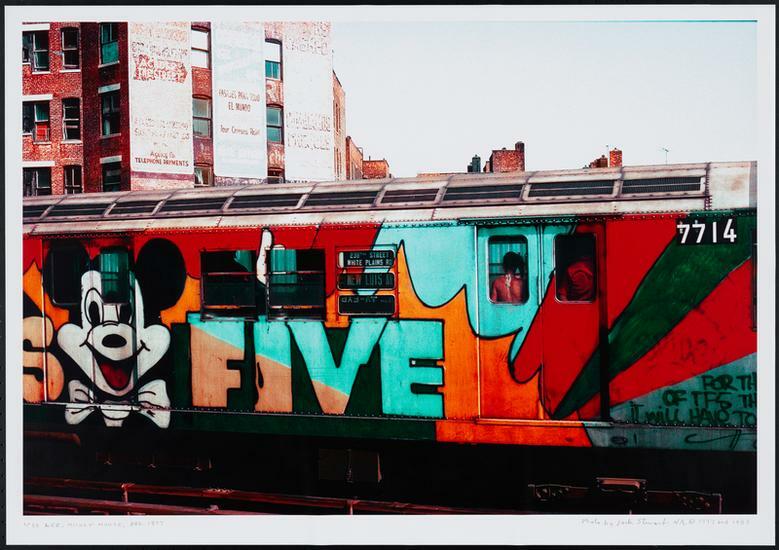 When graffiti first began to appear on subway cars in New York City in the late 1960s, Jack Stewart (1926-2005) became one of the first, along with Jon Naar, to photograph and document it. 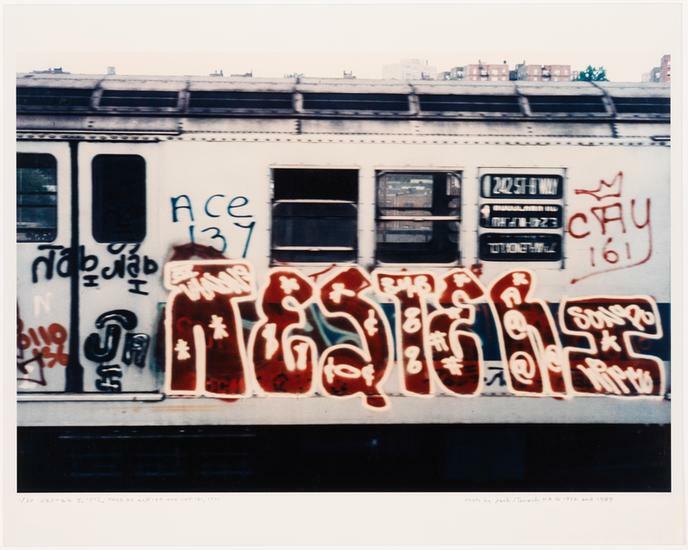 From late 1972 through early 1973, he photographed subway cars every weekend, documenting the rapidly evolving style of the graffiti writers. Jack Stewart was born in Atlanta, GA in 1926 and earned a BFA degree at Yale University, where he studied painting with Josef Albers and Willem de Kooning. He moved to New York City in 1949 and began designing and executing mosaic murals on commission. In order to better understand how to work with architects on these commissions, he enrolled in the Columbia University Evening School of Architecture. He also exhibited his paintings throughout his life. Stewart later enrolled as a graduate student at New York University in order to study graffiti more formally, earning his Master’s degree in 1975 and completing his Ph.D. in 1989. 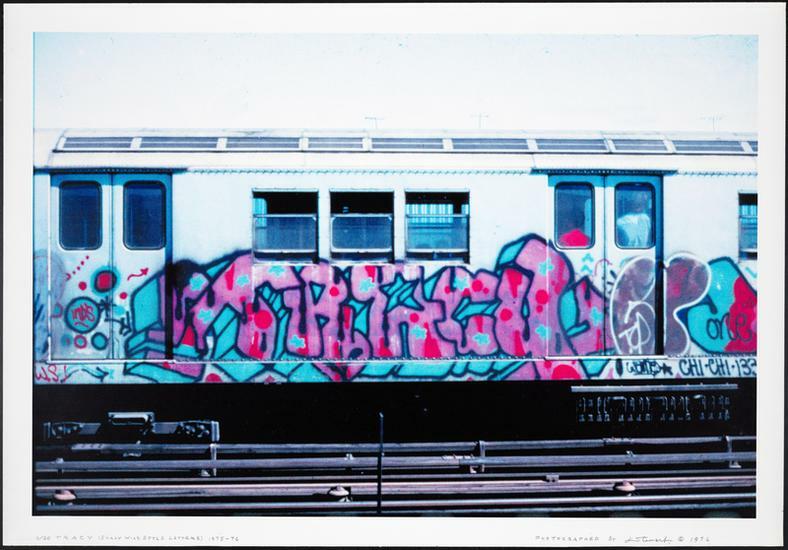 His dissertation, Mass Transit Art Subway Graffiti, was published by Abrams in 2009 under the title Graffiti Kings: New York City Mass Transit Art of the 1970s. It was the first academic study of graffiti. Stewart photographed graffiti throughout the 1970s, but he felt the style peaked around 1973. His work predated Martha Cooper and Henry Chalfant, both of whom began documenting the scene a few years later, and he covered graffiti in more depth than Naar. Over the years Stewart taught at almost every major art school on the east coast, including Pratt Institute, Cooper Union for the Advancement of Science and Art, the New School, the Rhode Island School of Design, and others. In the last decades of his life, he held positions in many professional organizations, such as New York Artists Equity Association, the National Society of Mural Painters, the Fine Arts Federation of New York, and the National Academy of Design. The City Museum recently acquired 31 of his photographs through a generous gift from the Green Foundation. You can see all of them on the Collections Portal. And, through Labor Day, visit the Museum’s exhibition City as Canvas to see several of Stewart’s photographs on view. Stewart’s papers are at the Smithsonian’s Archives of American Art. Those of us who were there, DID NOT call what we did “graffiti.” Instead, we referred to what we did as “writin’ “, which is the reason why we called ourselves “Writers”…. Writers who wrote our names. Because Writin’ is an urban phenomenon invented by the children of the Working Class, and not by the children of the 1%, invented by youth with last names such as Jones, Smith and Ramirez, instead of Rockefeller, Trump, Bloomberg or Corcoran, that racist 1% of society saw fit to denigrate the entire Culture by baptizing it with the name “graffiti” which they got from the Italian “graffito” which translated into the english language means to “scribble” and “deface.” Had this Culture been invented by the children of the 1% instead, then those same racist powers that be like the media which is controlled by you know who, would have called it something more formal, i.e. “avant garde pop something.” Believe it? 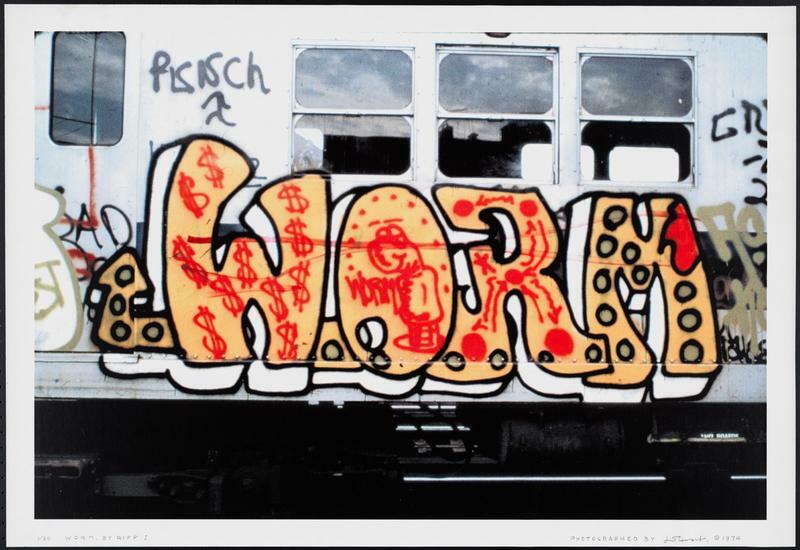 This entry was posted on July 8, 2014 by Lacy Schutz in Digital Project, Exhibitions, Photography Collection and tagged Graffiti, Jack Stewart, Jester, Lee, new acquisitions, New York City Subway, Photography, Redbird trains, Riff 170, Tracy, Wild Style.